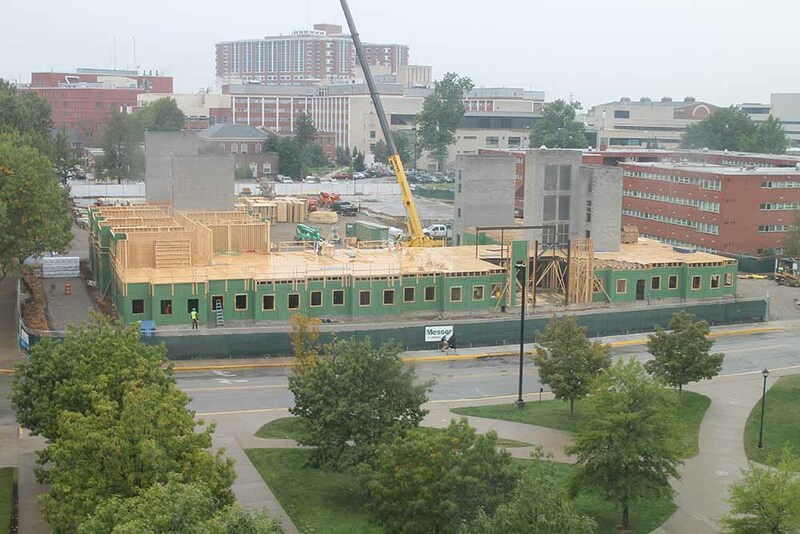 With groundbreaking innovations in financing higher education campus construction, Kentucky public universities have undertaken hundreds of millions of dollars in capital projects in recent years – even as a recessionary economy caused multiple rounds of cuts in traditional state funds. The most innovative approaches financially were developed for campus housing projects, an area of particular need but also one with its own revenue stream. Also previously unheard of is the level of cooperation among the public universities in jointly requesting bonding authority for 11 projects at six of the eight state schools, which prompted happy legislators and the governor to OK the $388 million in plan in record time. 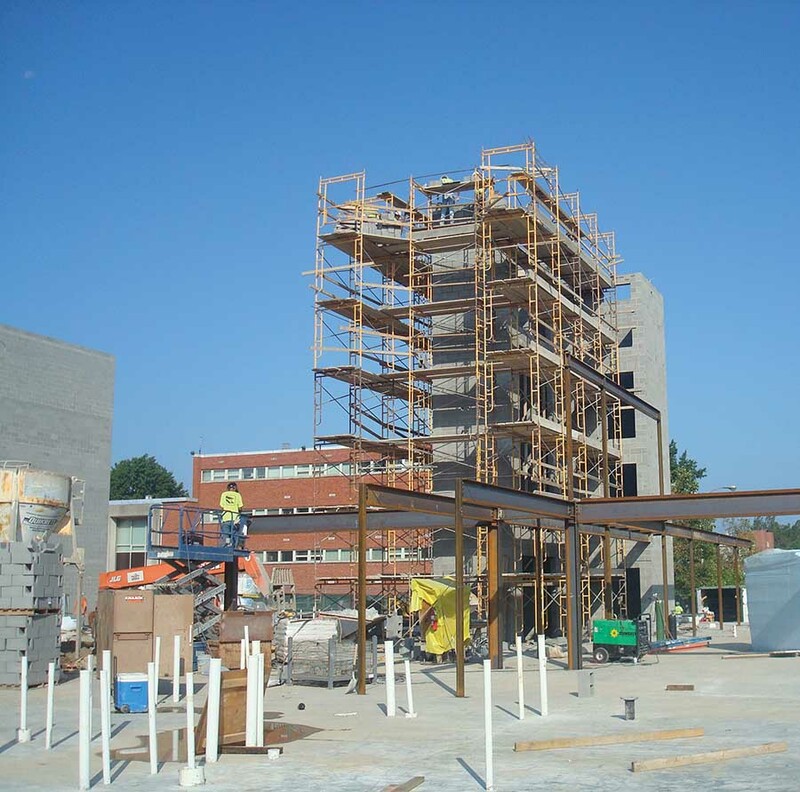 With the exception of four emergency projects, the Kentucky General Assembly last appropriated General Fund dollars for capital construction or capital renewal projects on a state university campus in 2008. And public higher ed institutions in the commonwealth already were billions behind in capital needs, according an assessment by VFA Inc., a Boston firm the Council on Postsecondary Education (CPE), the state universities and the Kentucky Community and Technical College System hired in 2007 to assess their physical infrastructure. “Beyond the desired new facilities, the study found there was $3 billion in deferred maintenance and capital renewal needed just to maintain integrity of physical infrastructure,” said Sherron Jackson, senior policy advisor for CPE. Kentucky’s university presidents are not a passive lot, though, and responded by becoming increasingly entrepreneurial, creative and united. In 1997, Gary Ransdell was the new president of Western Kentucky University with a question on his mind: What did students want most? Their answer: better residence halls. But WKU’s residence hall fees were just enough to cover the basics – debt service, staff, day-to-day operations and modest repairs. The university still had $22 million in outstanding debt on the dorms with full debt relief 27 years away. Ransdell looked at his meager options. Since the General Assembly expects dormitories to be self sufficient, there would be no legislative funding. And universities could not issue auxiliary agency bonds as they can today with legislative approval. He and his board decided to do something that had never been done on a university campus, anywhere. WKU would relinquish ownership of its residence halls through an intricate plan that provided a way for the university to recapitalize and renovate the residence halls. Ransdell and board incorporated a Student Life Foundation (SLF) as a nonprofit, nonaffiliated, tax-exempt Kentucky corporation to operate exclusively as a supporting organization for WKU’s Foundation. Any excess funds generated by the SLF could be paid to the foundation, and the foundation would use the funds to benefit the university. The legislature’s Capital Projects and Board Oversight Committee approved the plan, and within two weeks the SLF purchased 17 of WKU’s 18 residence halls (one dorm was reserved for a different purpose). 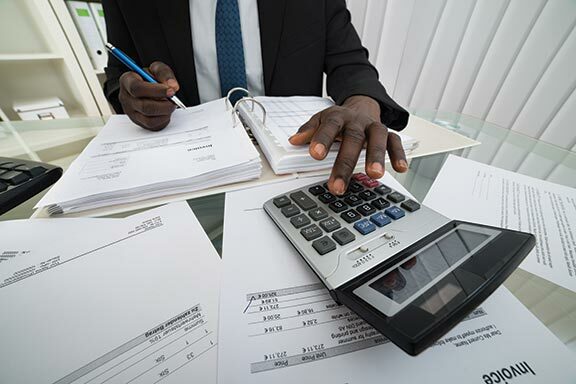 The SLF issued $65 million in tax-exempt bonds backed by dorm bed rental revenue to pay the $22 million still owed, transaction costs, renovation costs, and establish SLF operating and repair reserves. WKU’s $22 million in outstanding “university housing and dining bonds” all were redeemed and taken off state books. When the SLF bonds mature, the university has an option to buy the buildings back or continue under the management agreement with the SLF. Jackson said the University of Louisville has been particularly creative when it comes to student housing. This new way of thinking started in 1997, when then-President Dr. John Schumaker wanted to expand campus housing capability from 9 percent of UofL students to 19 percent. He also wanted to update older residence halls. Beyond financing, UofL had two additional complications. The university needed additional beds fast – to accommodate a new UPS program for third-shift workers offering the perk of a company-paid college degree. University housing that would accommodate employees’ unique needs was a key to its success, the company believed. UofL also wanted to meet its goal using a public financing model. The school did hold one ace in its hand: university-owned land that had already been designated for student housing. The university met its goal of 2,900 beds by the end of 2006. Upperclassmen now have an apartment-style housing option in Bette Johnson Hall. Underclassmen can choose private or double-occupancy suites at Herman & Heddy Kurz Hall. Community Park includes five Greek chapter houses plus suite-style residence hall units. Billy Minardi Hall houses athletes and general students and offers food service. UofL wasn’t finished, it turned out. Enter James Ramsey, UofL’s current president, who upped the goal for on-campus student housing to 32 percent to make the school more of a residential rather than a commuter college. “At that time, we didn’t have any more land and still didn’t want to rely on agency bonding,” Staten recalled. “We had to get creative again. UofL successfully invited adjoining property owners into a “bridge” partnership to build and run student housing. 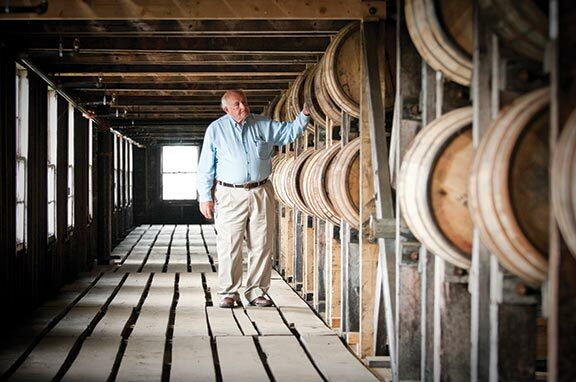 Less than 100 miles away, the University of Kentucky also found working with private developer EdR Trust beneficial. In fact, UK became the first U.S. school to work with an outside company for all its residence halls, according to Penny Cox, housing project implementation director. Phase 1 of UK’s agreement with EdR Trust, New Central Hall, will be complete in July and open this fall, said Tom Trubiana, executive vice president and chief investment officer of EdR Trust, a real estate investment trust that owns or manages 67 communities in 24 states with more than 37,000 beds. 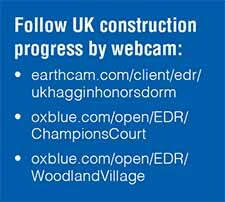 Unique at UK is that EdR is using its capital exclusively to build the first $28 million project, a living/learning center with 600-beds and 19 active learning rooms that is designated for honor students and freshman. EdR will own the buildings under a long-term ground lease with UK, operating the buildings with its employees and giving UK a cut in rent revenues. Trubiana’s staff works directly with Cox, who serves as the university’s liaison with EdR. Benefits go far beyond financial, Cox said. The General Assembly has given UK permission to spend $175 million on phase two of the plan. Phase 2 will include Champions Court 1 and 2, which will have 1,167 beds and 19 active learning rooms; Woodland Glen, with 1,818 beds and 33 active learning rooms; and Haggan Hall with 332 beds and 19 active learning rooms. All are on schedule for opening in 2014 at a total cost of $133 million. Rent at the new facilities will be the same as for upper-end housing already available at the university. UK also has found other creative ways to fund much-needed facilities, including using an asset most universities lack: an athletic program producinga solid revenue stream. “President (Eli) Capilouto and I talk often, both about athletics and the campus,” said Mitch Barnhart, UK’s athletic director. “We had been talking for several months about campus infrastructure needs – from commonwealth to academic issues. President Capilouto has been very supportive of our desire, using our resources, to upgrade athletics facilities on behalf of our student athletes and fans. I told him that we wanted to contribute to improvements in the academic campus. 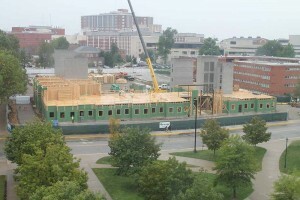 Construction of residence hall Woodland Glen I, shown here in an artist’s rendering, is part of the second phase in a campus-wide revitalization project at the University of Kentucky. Located at the corner of Woodland and Hilltop avenues, Woodland Glen I will have 1,818 beds and 33 active learning rooms. From those discussions and other meetings came an unprecedented agreement. UK Athletics would provide $65 million toward a new science building that will be a successor to the circa 1962 Chemistry/Physics Building. To UK’s knowledge, the athletics program financing is unique. Barnhart is among the small circle in university administration that report directly to the president. And this is far from the first time athletics has given academics a financial assist, Barnhart emphasized. “We have over the years funded millions of dollars in programmatic needs for the university, from music to the Center for Research on Violence Against Women to a prominent auditorium and meeting space in the W.T. Young Library,” he said. “We understand the needs on campus and continue to pay full cost on in-state and out-of-state tuition along with sharing licensing revenue 50-50 with the university. In total, we spend over 25 percent of our expenses back on campus. 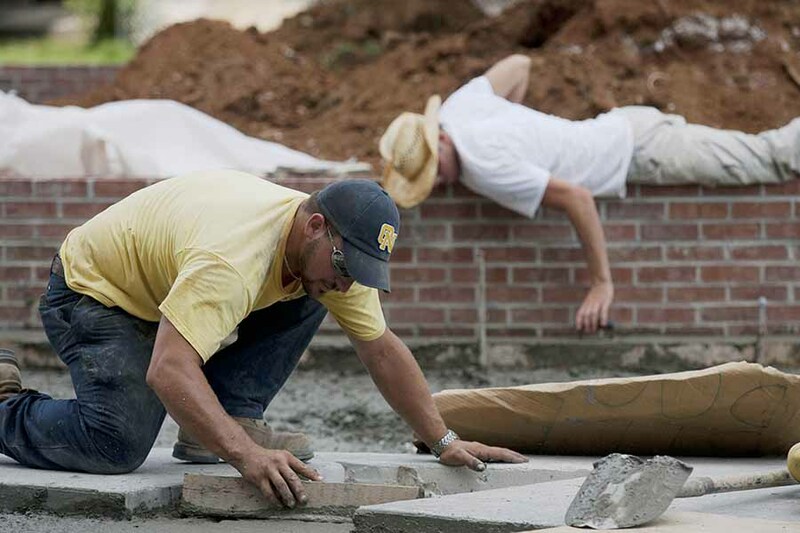 This kind of collaborative, do-what’s-right thinking enabled Kentucky’s public universities to gain 2013 General Assembly approval for six schools to borrow $363.3 million to build or renovate 11 buildings. The universities estimate the projects will create 5,100 construction jobs in 2013 and generate an economic impact of a $622.9 million – in addition to benefiting students, most of whom will go on to contribute the state economy. Again, the postsecondary capital project construction involves no General Fund appropriations. 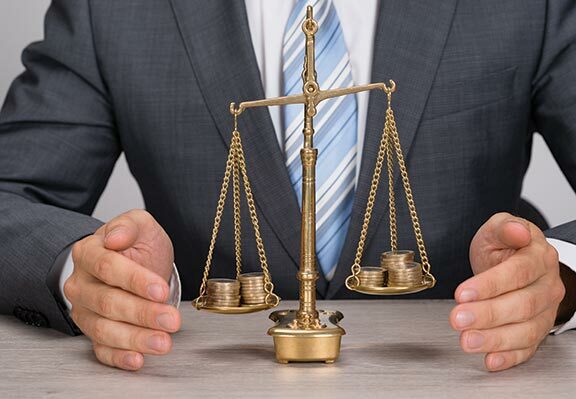 Money will come from agency bonds, which require institutions to use their own money to service the debt. Unique, however, is that the multi-project authorization request from the public universities came collaboratively in one document, rather than competitively as individual requests. All the schools have wants and needs, but they worked together for months and jointly submitted to legislators “A Proposal for Shovel-Ready University-Funded Capital Investments,” a document detailing 11 projects and their impacts. In response, legislators gave their OK in record time, and in an odd-year short session, requiring a three-fifths vote. Some of the projects had been considered but failed to gain approval in the 2012 legislative session. The university presidents met repeatedly through the summer of 2012 to discuss the matter, said Robert Jackson, associate vice president for development and governmental relations at Murray State University. 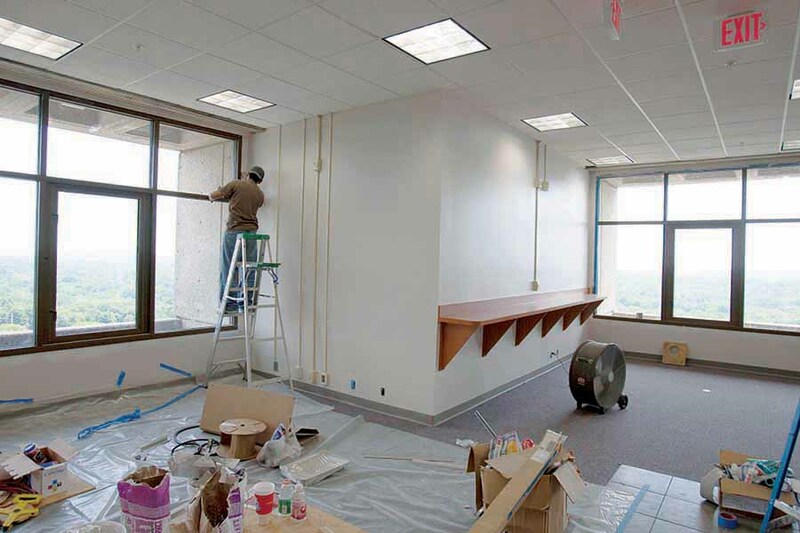 The presidents’ facility management and government relations staffs got involved, too, said Jackson, who was a state senator from 1997 to 2004 and has first-hand knowledge of the legislative process. However, these 2012 meetings produced a first – a collective agreement among the universities spelling out agreed-upon priorities and bearing the endorsement of all the presidents, including two with no projects on the list. It was one for all and all for one. The university presidents felt the projects could not wait until 2014, said Joe Wind, vice president of government and community relations at Northern Kentucky University. • Be shovel-ready, able to begin construction in the next year. • Not increase tuition costs; have a funding source in place. • Have significant immediate impact on students and the college experience. 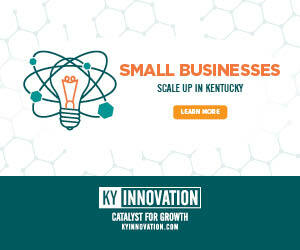 • Have a significant impact on Kentucky’s economy. The long list was whittled down to 11 projects that met the four criteria. Wind believes there will be such collaboration in the future and said NKU plans to be part of it. Robert Jackson at Murray State concurs. Similar win/win comments dominate discussions about the use of outside firms such as EdR Trust. Others are taking notice of what Kentucky’s universities are doing. Is crowdfund investing a game-changer?